Posted on November 28, 2017 at 9:59 am. The second day of the working week can be just as bad as the first, so claim House of Jack’s Tuesday offer for a nice boost. Players can claim an extra spins promo on QuickSpin’s Gold Lab slot, or a matched deposit bonus, provided you make a deposit at House of Jack by Tuesday at 23:59. 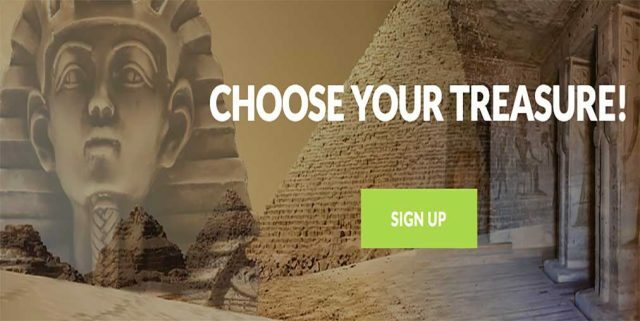 Players can either claim 25 free spins on Gold Lab by entering the promo code GOLD or opt-in for a 30 percent bonus up to €/$100 on your first deposit of the day, using the promo code EGYPT. You need to make a minimum deposit of €/$20 to claim either offer, with a range of global payment methods including credit and debit cards, e-Wallets, and bank transfers available. When opening an account with House of Jack, players get both a Bonus Account Balance and Cash Account Balance. Your deposit will be credited to your cash balance, while the bonus will be credited to your bonus balance. For the match deposit bonus, you need to complete the wagering requirements to convert the bonus into cash. The bonus needs to be wagered 40 times before it appears in your cash balance, achievable by playing real money slots. The free spins are wager free, but there is a winnings cap of €/$200. All winnings will be added to your cash balance and the excess will be removed when making a withdrawal at the casino. Players can create an online casino account at House of Jack in just a few minutes, and can head to the cashier to make their very first deposit once verified. You need to wager each bonus 50 times. While the spins are wager free, winnings are capped at €/$200. The winnings from the welcome bonus are also limited to a maximum withdrawal of €/$5000. Sign up to House of Jack and claim the welcome bonus, the daily promos and bonus codes that the gambling site offers, or both.